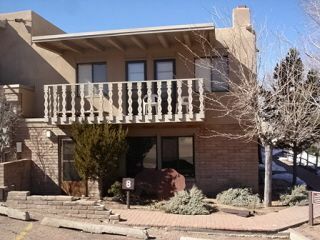 Railyard Two Bedroom Condo, Half a Mile to the Plaza! 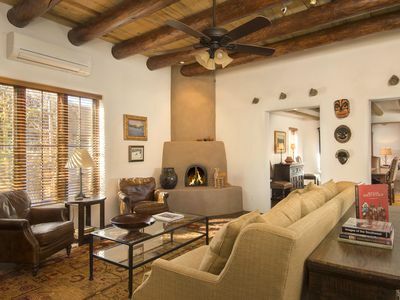 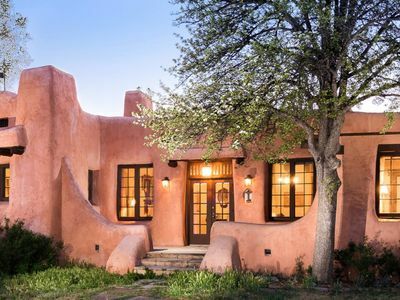 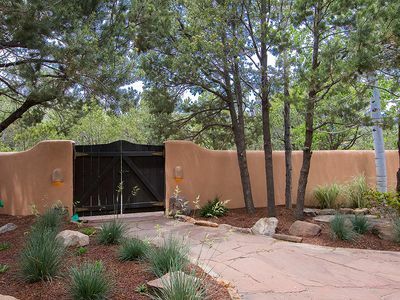 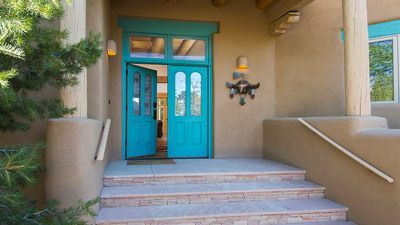 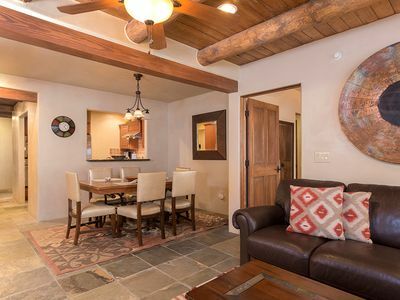 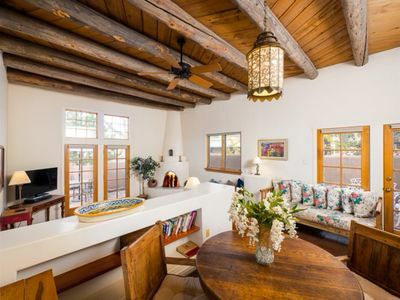 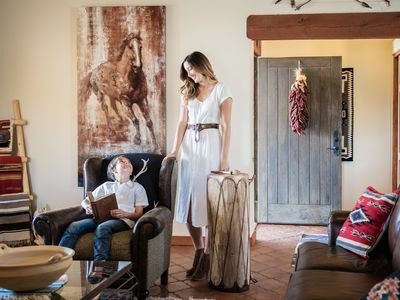 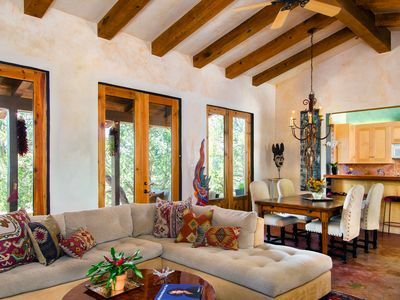 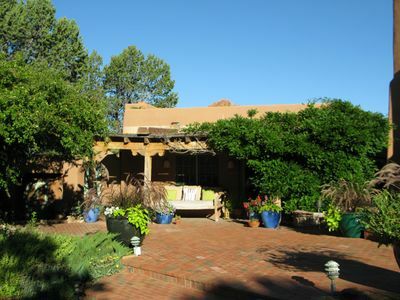 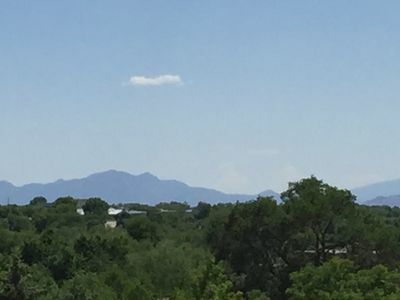 This 1,000-square-foot, two-bedroom, two-bathroom Santa Fe vacation rental casita includes a full service kitchen, dining room that seats six and a living room with a Santa Fe-style kiva fireplace. 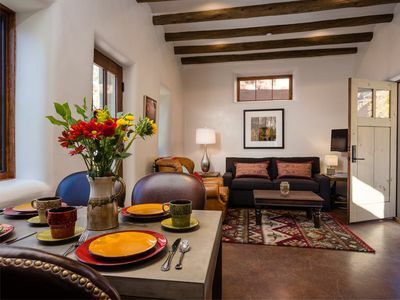 The first bedroom features a king-sized bed, a Santa Fe-style kiva and comfy bathrobes. 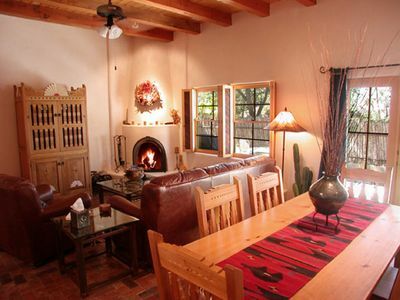 The second bedroom offers bathrobes as well and a queen-sized bed. 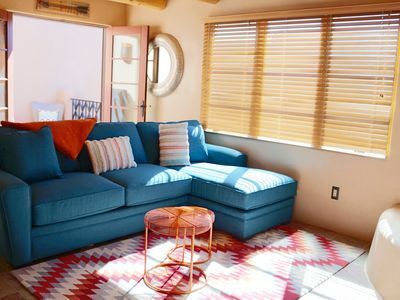 The vacation rental also sleeps two more in a queen-sized sleeper sofa. 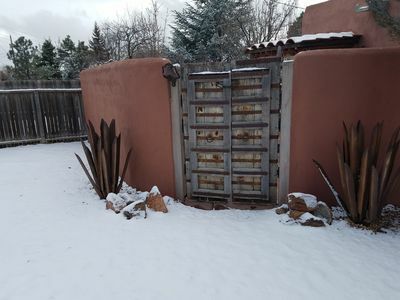 The two full bathrooms are stocked with ample bath products. 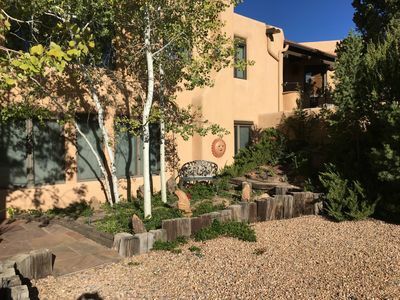 Additional amenities in this lovely vacation rental include air conditioning, cable color TV/VCR/DVD and stereo and CD systems, a fax machine with copy and printing capability, a voice answering system, internet access, a washer and dryer and a security system. 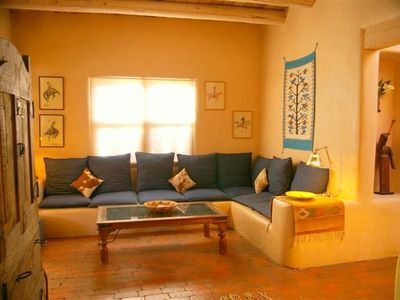 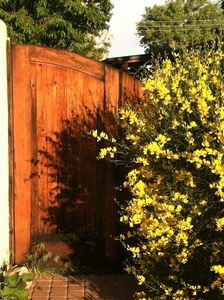 May be combined with the other Diez Senoras casitas for additional accommodations in the same compound! 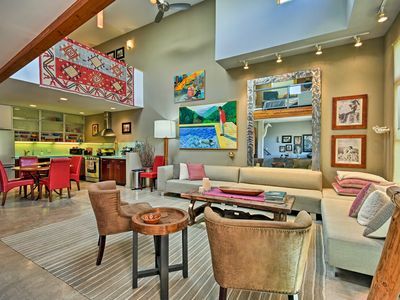 Approximately 1,000 net square feet. 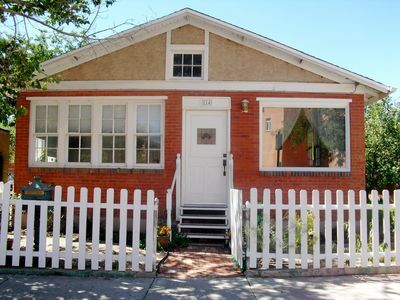 Blend New And Old on Prestigious Canyon Road.1 Blk to Restaurants and Galleries.